A fresh apple and pomegranate salsa. I always enjoy a nice fresh fruit salsa and in the winter you can’t go wrong with a crispy apple one! 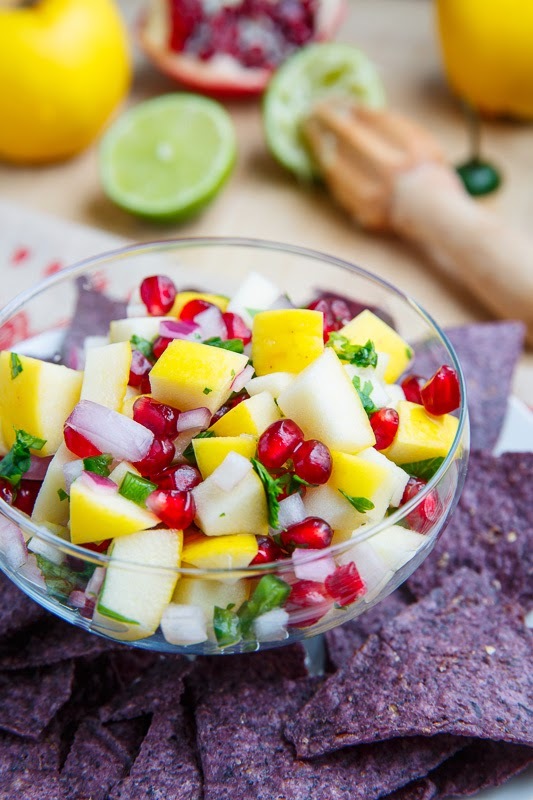 Fresh fruit salsa’s are super easy to make, you pretty much just need to dice the fruit along with some jalapeno and onion and hit it with some lime juice, cilantro and salt and you are good to go! At this time of year pomegranates are also available and they make an excellent addition to an apple salsa adding a nice burst of juicy sweetness along with their amazing colour. 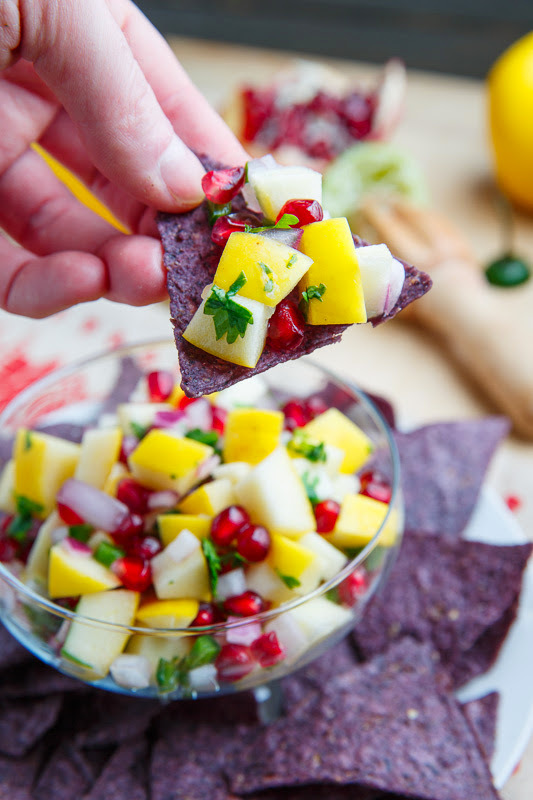 Whether you are just snacking on this apple and pomegranate salsa or using it in something, it definitely adds a burst of brightness and freshness on a cold winter day! 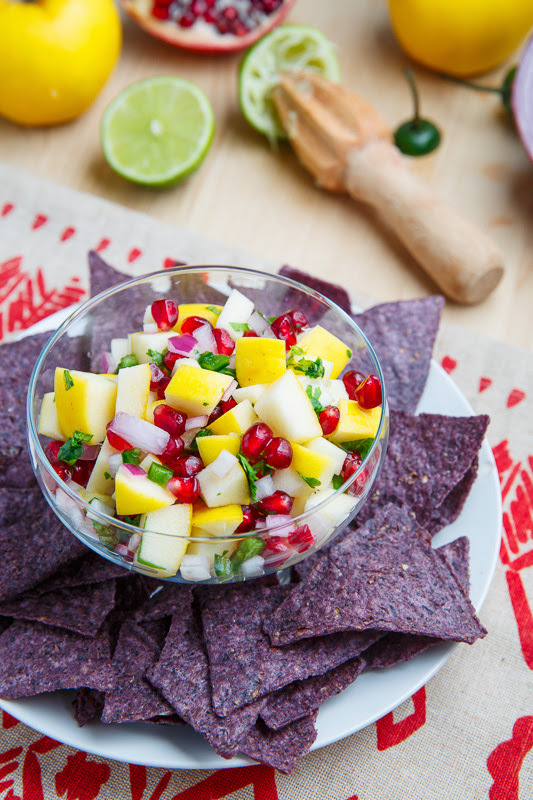 Love the pop of color in this healthy fruit salsa Kevin! This is a beautiful and colorful salsa! I have a huge soft spot for fruit salsas. Yum! Oh yes this is my style. I love the colors and assorted tastes.